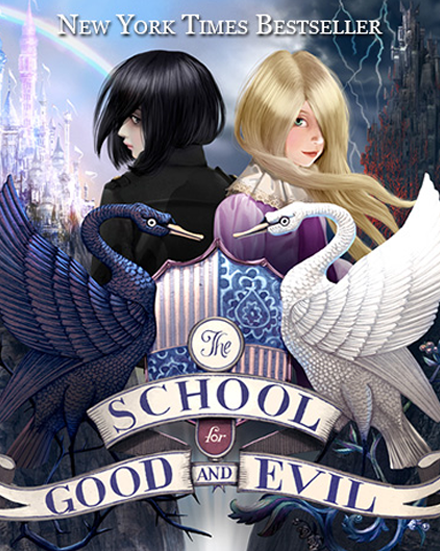 About: At the School for Good and Evil, failing your fairy tale is not an option. The two girls soon find their fortunes reversed—Sophie’s dumped in the School for Evil to take Uglification, Death Curses, and Henchmen Training, while Agatha finds herself in the School for Good, thrust among handsome princes and fair maidens for classes in Princess Etiquette and Animal Communication. But, what if this mistake is actually the first clue to discovering who Sophie and Agatha really are? Why I Liked It: This is not your typical fractured fairy tale, and there is so much more to this book than what the cover suggests! The author does a great job of packing humor, romance, loss, and adventure, all in to one single book! The world is beautifully built and imagined. Villains are taught to be evil, heroes to be good, and an unlikely friendship will be tested. When lines are blurred and your true self if shown will you be able to tell Good from Evil?? This entry was posted in adventure, Fairy retelling, Fantasy, Veronica and tagged adventure, fairy retelling, Friendship, veronica. Bookmark the permalink.